Kim Dotcom, whose Internet party dramatically failed during the New Zealand election campaign, says he has become a pariah, and has renewed his offer to go to the US to face trial. Dotcom appeared confused, trying to figure out why the public opinion victimized him following his campaign, in an interview with The New Zealand Herald on Sunday. "It's turned into something very ugly,” Dotcom said. “Now I am a pariah. The funny thing is I haven't changed and I don't think I've done anything wrong. I'm still the same guy who only a matter of months ago people were cheering for. The prime minister will forget about me, New Zealanders will forget about me and I will be gone." Dotcom funded the Internet Party last year, and an analogous party is set to enter US politics in 2015, following the disastrous New Zealand campaign. Currently, the Internet mogul is renewing his offer to the US Department of Justice to travel to the US to face trial. However, there are conditions to the offer: Dotcom wants to be given bail, and see his assets from the mansion returned. 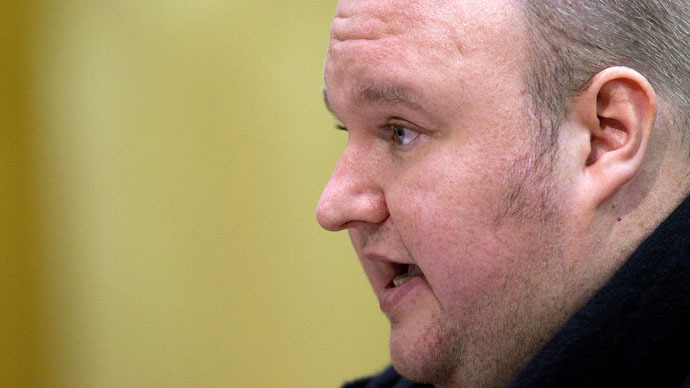 Dotcom has frequently claimed he is not guilty, and is sure he will win the trial. Last year, the Internet tycoon split from his wife, and is sure he could reach an agreement with her, allowing him to see his five kids. "I'm sure Mona would go to the US with the kids," Dotcom said. The 40-year-old’s legal trouble began three years ago, when a police raid on his mansion in Coatesville, near Auckland, triggered the shutdown of his file-sharing service Megaupload. An FBI-led investigation led to charges laid against him and his partners involving copyright infringement and conspiracy.